Nadeje Patisserie, at G-23 & 25, Jln PM4, Plaza Mahkota, is a cosy cafe that occupies two shop lots in Malacca. 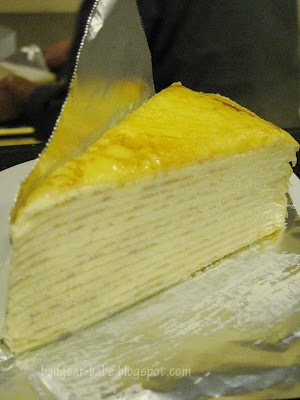 It specializes in mille crêpe, a French cake made of many crêpe layers. “Mille” means “a thousand” in French, implying the many layers of crêpe used. 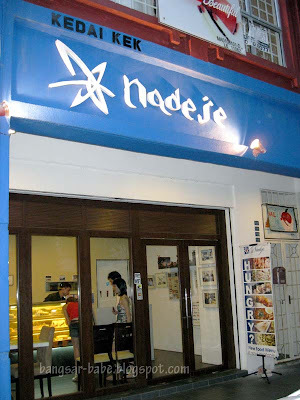 But don’t go into Nadeje, expecting to see a 1000-layer cake. You won’t find any. Here’s what to expect — about twenty lacy crêpes layered with fresh cream and custard. The top crepe is usually sprinkled with sugar and flambéed until the surface caramelises. Between the original, cheese and tiramisu flavour, I liked the original best. The cream was delicate yet firm enough, and the cake didn’t collapse at the plunge of a fork. The crepes were thin and crisp at the sides, and digging into the cake was like shovelling through snow. 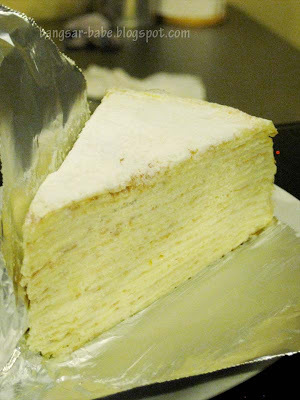 Light and luscious, each bite yielded a smoky sugar coat with refined layers of crepe and cream. The cheesecake didn’t wow at first bite, but it grew on me after the second and third. With only a slight hint of cheese flavour, this was elegant and not cloyingly sweet. Next to the original mille crepe, the tiramisu version wasn’t as impressive. 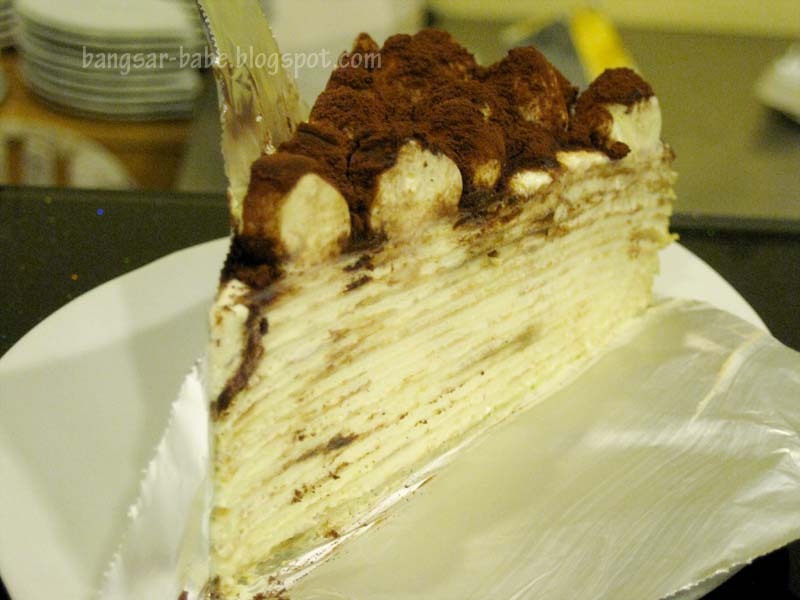 It wasn’t bad, but it wasn’t great either, as the tiramisu flavour was outshone by the cream and cocoa powder. I wouldn’t recommend driving all the way to Malacca for this, unless you have time and money to spend on petrol and toll. You can get a decent version from Food Foundry. 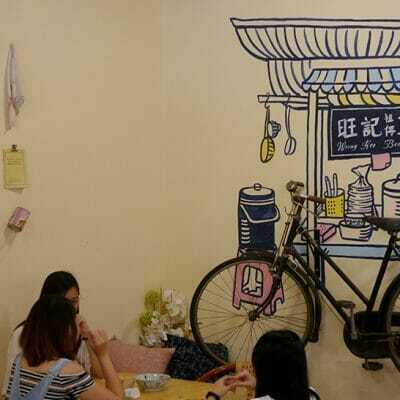 However, if you happen to be around, go check the place out. 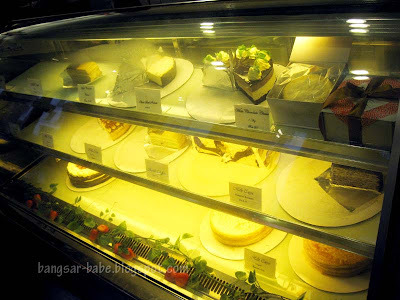 Verdict: If you happen to be in Malacca, drop by for a slice! the trend for crepe cakes have died down quite abit though, used to b the craze..food foundry version is so so and there was 1 time when it was fresh n the cream tasted funny, needless to say, havent gone back. why you never bring some back for meeeee? i like this one a lot! (tho not everybody likes it;P) my colleague brings it back for us. wow, so now there is a smoky sugar coat? I have never tried smoky crepe… nice? ling239 – Drats…I should have taken the rum & raisin! Nvm…there's always next time. J2Kfm – Hahaha…French kek lapis! Nice stop when in Malacca, good things has a way to kind of wind down…. Heard it was very good in times past. worldwindows – Yup…it's sad when the standard drops once the business kicks off.